Following their explosive exploits on tour with Leprous (Norway), both in Europe and Australia, Melbourne 7-piece tribal progressive/psychedelic rock live-wire AlithiA will be joining The Contortionist (USA) & SikTh (UK) on their upcoming‘Clairvoyant’ Australian Tour in May. AlithiA has previously completed 4 European Tours, including their most recent EU Tour with Leprous and Agent Fresco(Iceland) in late 2017. In addition, they’ve toured Europe with acts such as sleepmakeswaves, Tides From Nebula (Poland), and Vulture Industries (Norway). 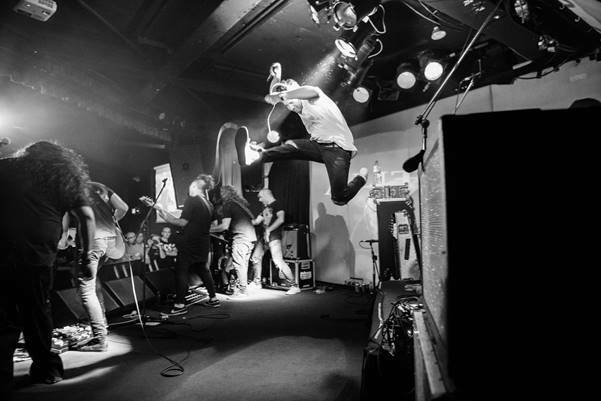 In Australia, they’ve supported influential groups such as Animals As Leaders (USA), Alcest(France), The Ocean (Germany), Mother’s Cake (Austria), Dead Letter Circus, Ne Obliviscaris, and Caligula’s Horse, plus monumental appearances at Bigsound and PROGFEST.